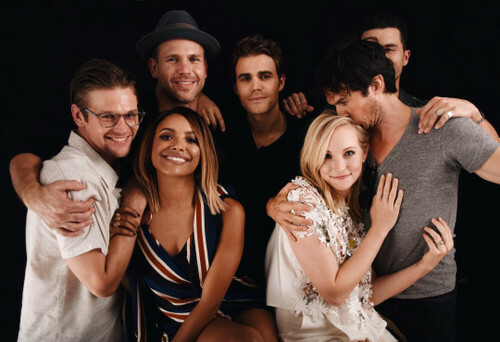 TVD Cast. . Wallpaper and background images in the Maonyesho ya Televisheni ya Vampire Diaries club tagged: photo the vampire diaries comic con 2016 kat grahma candice accola paul wesley ian somerhalder michael malarkey.